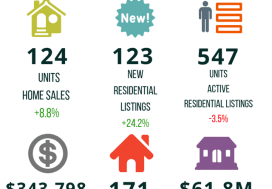 Residential sales activity recorded through the MLS® System of the Ontario Collective for the Grey Bruce Owen Sound area fell on a year-over-year* basis in December 2017 from all-time record levels in 2016. Home sales numbered 116 units in December, down 21.1% from December 2016. That said, this was still above most other December sales figures in history. On an annual basis, home sales totalled 3,118 units in 2017. That was the second best year ever, down just 1.7% (54 sales) from the 2016 record. The average price of homes sold in December 2017 was $320,712, up 15.7% year-over-year. The average annual price for 2017 was $299,953, rising 12% from all of 2016. 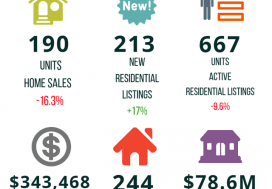 New residential listings on the Association’s MLS® System numbered 93 units in December 2017. This was down 3.1% compared to December 2016. Overall supply stands at record lows. 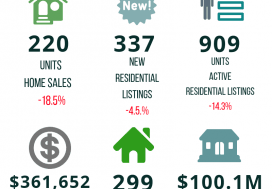 Active residential listings totalled 507 units at the end of December, down 30% from December 2016. The number of months of inventory stood at 4.4 at the end of December, down from 4.9 months a year earlier and the lowest level on record for this time of year. The number of months of inventory is the number of months it would take to sell current inventories at the current rate of sales activity. The dollar value of all home sales in December was $37.2 million, down 8.7% from December 2016, but still the second highest December reading on record. Sales of all types of properties numbered 152 units in December 2017, down 16.5% from the previous December. The total value of all properties sold in December 2017 was $50.9 million, down 3.1% from levels recorded in December 2016. * Please be advised that the data collection methodology for statistics in our releases has changed and historical revisions to the data have been applied. Data collection for reports prior to December 2017 was based solely on sales and listings from Members of REALTORS® Association Grey Bruce Owen Sound. 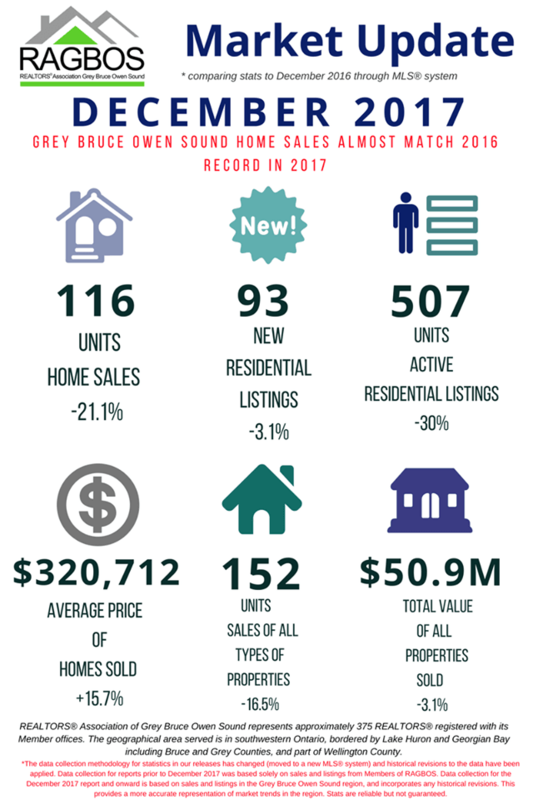 Data collection for the December 2017 report and onward is based on sales and listings in the Grey Bruce Owen Sound region, and incorporates any historical revisions. This provides a more accurate representation of market trends in the region.